In an emerging economy where the credit reporting industry is in a fledgling state the requirement for awareness building extends beyond general consumer awareness to educating the community of potential subscribers. 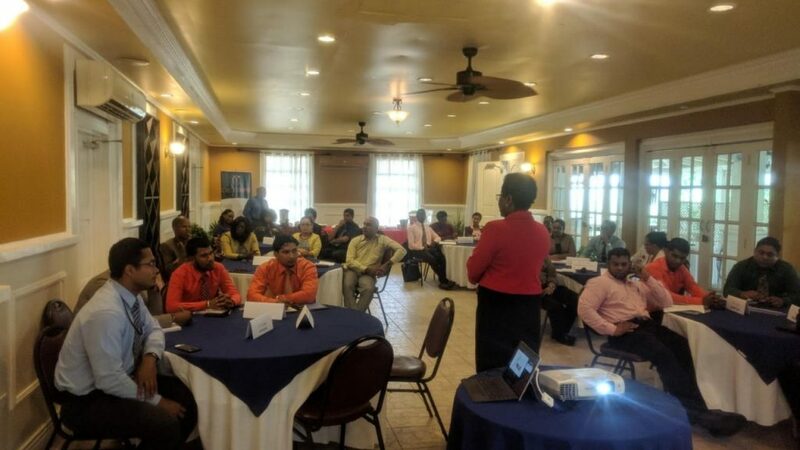 Given its experiences in developing the credit reporting market, Creditinfo Guyana has taken the decision that in addition to implementing a general public relations programme to also embark on an extensive ‘training’ programme for current and potential subscribers. Our ‘training’ programme is all encompassing and comprises full subscriber engagement that includes user training and refresher training activities; CEO and Senior Management engagement and presentations; roundtables and seminars to deal with various issues including data quality; timely dispute management and general queries. These sessions also allow for the introduction of new products as well as receiving of very valuable feedback which inform our sales and other strategies. The challenges experienced in enhancing sales, in particular sales of value-added products, has been determined to be primarily fuelled by a lack of understanding of the company and its offering as well as the scope of the credit reporting industry as a whole. Our efforts are therefore intended to facilitate (a) increased usage of fee based credit reports (b) reduced incidence of nil reports or no credit data found (c) improved quality of data shared (d) enhanced sales of value added products all with the aim of boosting total revenues. Direct engagements with high level operatives allow for gaining of insights regarding various strategic issues and challenges for which solutions can be provided. For example, a recent outreach to a freight forwarding company that is a potential subscriber highlighted its challenges with receivables. The company’s peculiar circumstances revolve around the issuance of a large volume of invoices payable within relatively short time frames. The opportunity is therefore presented for us to sell more than mere subscription for basic credit reports. Additionally, if we train users to search properly then usage is likely to increase since the incidence of pulling nil reports will be reduced. Our experience in engaging users in a very interactive manner has encouraged unhindered feedback, clarification of issues they may be experiencing as well as the overall development of their understanding of the correct procedures for accessing credit reports. Our training and direct engagements with IT Systems operators is also another key contributor as it assists in improving data quality which is necessary to inspire confidence in the value of our services and support the sale of value added products. As a consequence of our efforts and direct engagements, subscribers are able to clarify issues and gain in-depth insights on interpreting the credit report as we have noted a reliance merely on the credit score without a full understanding of the reasons for that particular score. Another recent outreach, for example, revealed that the trend arrow and reason codes were not even considered in interpreting the credit report and score. More importantly, the direct, one on one engagement with key personnel who utilize the system provides invaluable feedback on company policy; credit procedures as well as challenges for which new solutions can be tailored thereby creating opportunity for additional sales. In some instances, our capacity [flexibility] to respond to immediate requests for solutions is highlighted. For example, in a recent engagement with a financial institution our inability to respond to their demand for a mobile banking solution within their required time frame is likely to result in a delayed or possibly lost sale. As subscribers become more familiar with, understand and trust our services we have seen an increasing willingness to call us to discuss possible solutions or request information which our VAPs can provide. Sales, for us, is still an uphill task but we believe that our continued systematic efforts at enhancing awareness and understanding can bear much fruit in positively impacting sales over time. Our mandate in 2019 through these engagements is therefore to build trust, inspire confidence and deliver value.